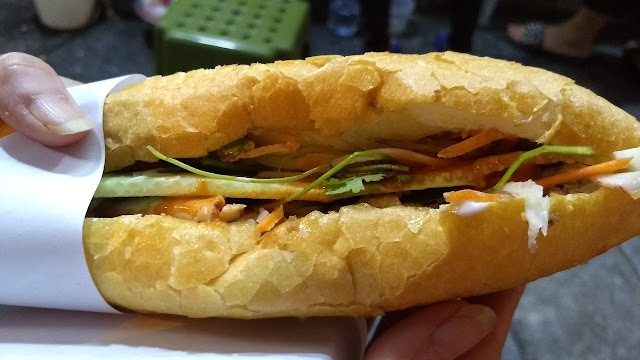 We tried a few bánh mì shops on our first trip to Hanoi (the well-regarded Bánh Mì 25 among them) without much real success. 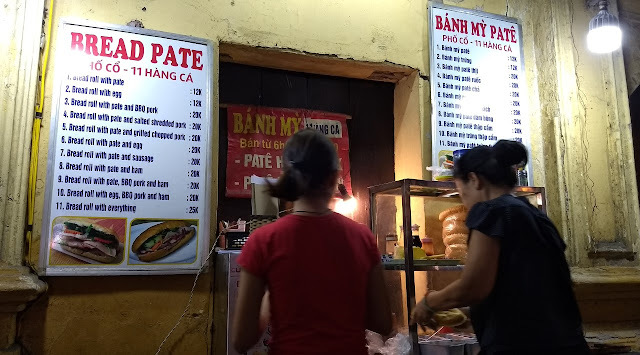 This trip, we tried our luck again - at Bánh Mỳ Patê. I think these were better than what we'd had previously, but they were still just ok. The bread was pretty good, but the meat was fatty, the veg was lackluster, and overall they were quite greasy. 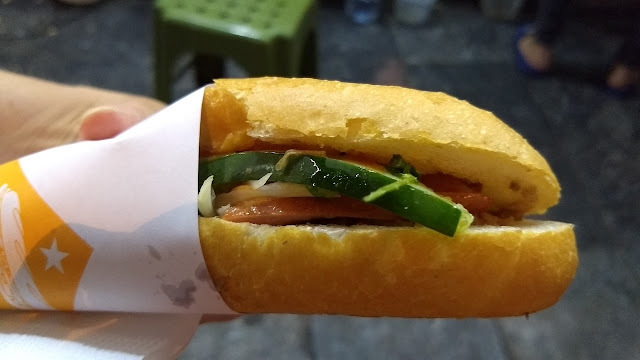 We have yet to find a really good bánh mì in Hanoi.